In this video you will see how easy it is to find our Blaine location. We are located in an excellent and easy to get to location, just off the Northeast Corner or Hwy 10 and Central Ave. These Driving Directions will help you find our Paintless Dent Removal Shop in Blaine. Our office and shop is located in the industrial building that can be seen from Interstate Hwy 10. Wherever you are coming from in the Twin Cities of Minneapolis and St Paul you can just get to Hwy 10 and take the Central Ave/Hwy 65 Exit. Go North on Central to the first light which is 93rd Lane. Take a right on 93rd Lane. Take your next first right on Baltimore Street then follow it down for a few blocks to 91st Ave.
Take a left on 91st Ave and then we are the second building on the right. Pull into the first entrance and continue to the south side of the building. Excel Dent Removal is in Suite 303 in the middle. Contact Me to schedule an appointment for your Free Estimate and to make an appointment to repair your vehicle dents. It is a windy day out and you have just come out of the store. You are walking towards your car when you see something that gives you a sinking feeling in your stomach. You rush up to see if it caused any damage and see a big crease dent in your door. Well there is good news! 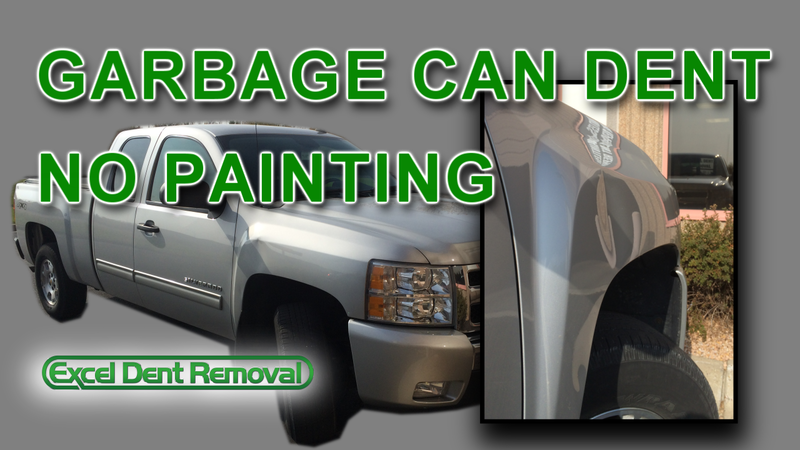 You can use Paintless Dent Repair to restore you car back to new again. This Mercedes C300 came into the my Minnesota Paintless Dent Repair Shop to have this crease removed from the door. My customer said she was out shopping and came out to her car and noticed this 4 inch crease in the door. It looks like it was made by a shopping cart because of the way the impact was made and the horizontal scratches that were in the crease. A crease dent in the door like this is removed with the paintless dent repair method by accessing the back of the panel and slowly working out the dent with special PDR tools. There was an door safety beam inside the door that caused part of the metal to pushed out. This part is hammered back in to make the area smooth. If you have had a shopping cart hit your car and make a dent, then choose paintless dent repair to restore your vehicle back to new condition without painting. My customer came to me from Andover MN to have this large dent in the fender of his Chevy Silverado repaired with Paintless Dent Removal. He was backing out of the driveway and didn’t see that the trash can was out. He bumped the garbage can with the truck and caused this large dent in the fender. Paintless Dent Repair does not use any of the conventional auto body repair methods like sanding, grinding, filling with plastic and painting. The Paintless Dent Removal method of repairing dents uses special PDR tools that move the metal back out from the inside of the panel. This is the reason that no painting is need to repair dents and dings in your car. Paintless Dent Repair does not damage your existing paint on your vehicle and saves you from losing value in your car because of having the car repainted. I was able to repair this dent in the fender of the Silverado with Paintless Dent Removal.